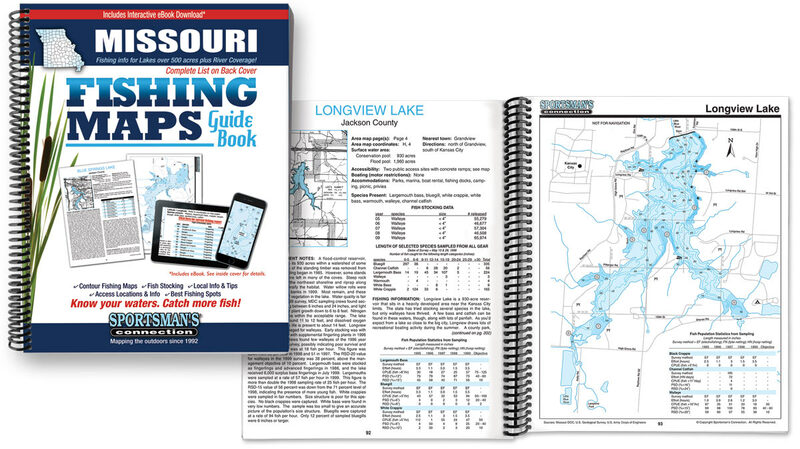 Fishing map guide book to Missouri's lakes over 500 acres. 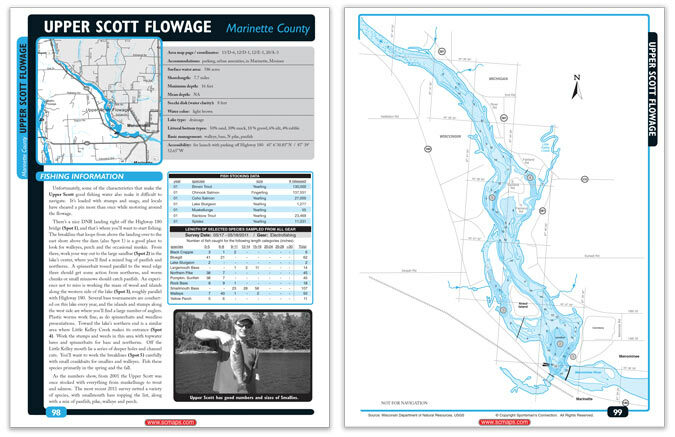 This volume includes color contour lake maps, area road maps, stocking data and fishing tips, all for only $24.95! Order now and receive the new interactive ebook absolutely free! Our brand new Interactive eBook brings everything you love about the print version to your phone, tablet, or computer. 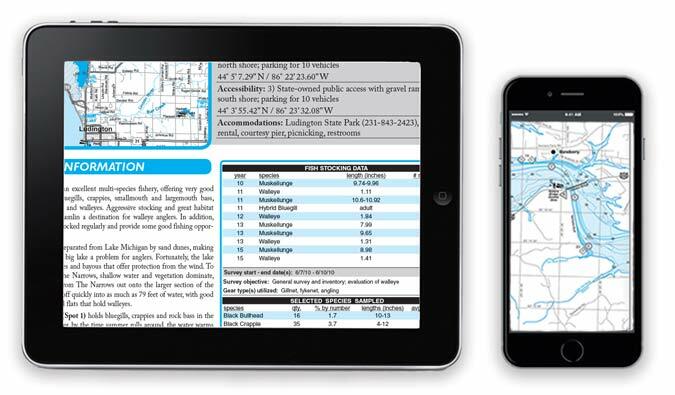 Downloadable and compatible with virtually every device, this Interactive eBook Edition gives you access to your maps & information anytime, anywhere and features online fishing reports, events and Google Maps access detail, for only $14.95 or free with purchase of the print edition!